This entry was posted on 2014/08/23 by Robin. 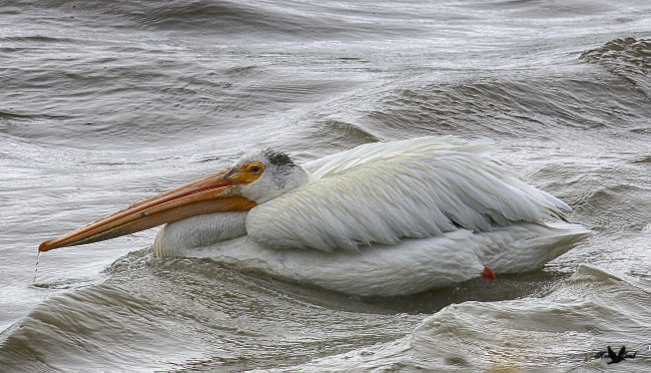 It was filed under Birds, Manitoba, Pelican and was tagged with American White Pelican, Lockport, Manitoba, Pelican. That’s a very cool shot. The detail in the feathers and the texture in the water are both amazing. I am just at a loss of words to appreciate your photography in this one & the beauty of this bird 🙂 I agree with ‘Rhiebert’! Torque, thanks so much! It is a very beautiful bird!